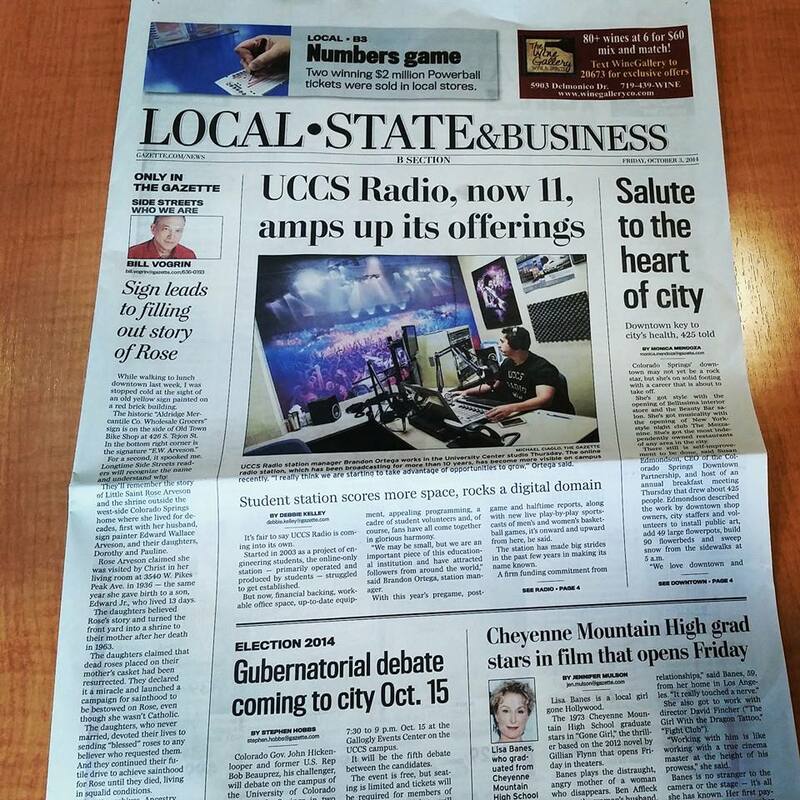 The Colorado Springs Gazette recently published an news article which focused on the rise of the University of Colorado-Colorado Springs (UCCS) college radio station. The article was published on the official national college radio day, Friday, October 3. To read the article click here. 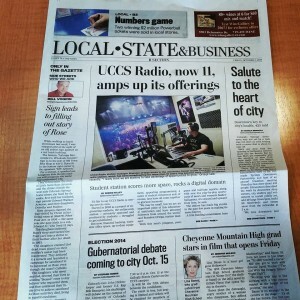 UCCS Radio is featured on the front page of the Local/State/Business section of the Colorado Springs Gazette.